Probably it is not your first time tying the knot and a number of questions are running up in your mind. Planning a second wedding can sometimes make you feel as though you are walking through an etiquette minefield. Besides, it seems everyone is having an opinion on what is appropriate and what is not. 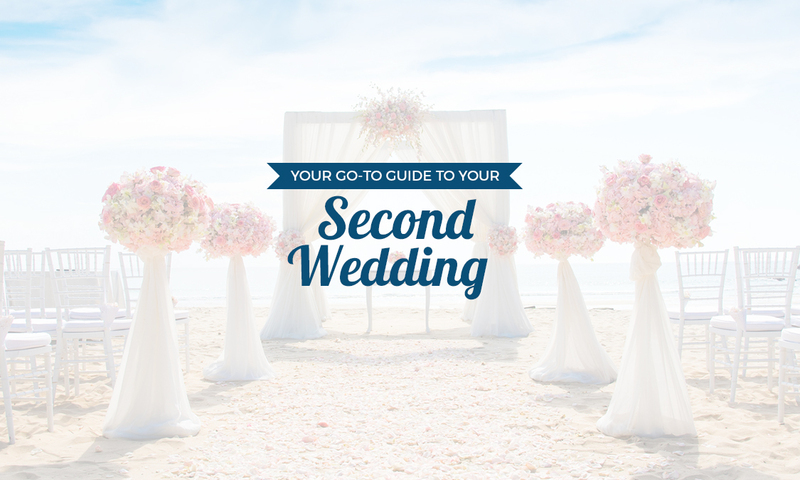 If you are planning for a second wedding and trying to sort out what etiquette from opinions, in this guide, we weigh in everything starting from what to wear to how to register. Do not let anything worry you, you are older and wiser now. Besides, you have got experience under your belt this time around hence, this time you should snap it, right? Is it Okay to hold a big wedding? It all depends. A second wedding should be grand or intimate as you want it to be. Nowadays, holding a second wedding can range from holding a close family and friends party at a restaurant to a seaside destination or black-tie ballroom party? In fact, you need to create an atmosphere, which is totally different from your first wedding by including different details and elements to make it look unique. Can we hold a religious ceremony? Having a discussion with your clergy will help clear the air if you want to hold your second wedding in a religious house. Moreover, it depends on your religion. If the rules do not allow for remarriage in the house of worship, perhaps you may consider having a civil ceremony and then a blessing at the church afterward. Can one wear a white wedding dress and veil? The answer is yes. A bride getting remarried for how many times still can put on a white wedding dress and veil. When choosing your second wedding dress, it is essential to choose a style that you feel comfortable in, regardless of the color. Can the new couples have a shower/bachelorette? Should we invite our exes? Generally, the answer is a no. Unless you still keep close ties with your former spouses. Additionally, inviting your deceased family may be a good gesture, although it might be a tricky situation for them to attend. In summary, the situation is tricky and all depends on your relationship with your exes. The answer is yes. Even if you had specified in the invitation card that you do not need gifts, there are friends and family members who will still carry along some gifts. Thus, it is essential to have a registry for them to browse. This will make their shopping experience easy. Are there any wedding traditions you should skip? Having a wedding tradition all depends on you. Some traditions like first dance or toast might still be important. Nonetheless, choose the traditions that matter to you and leave the rest.